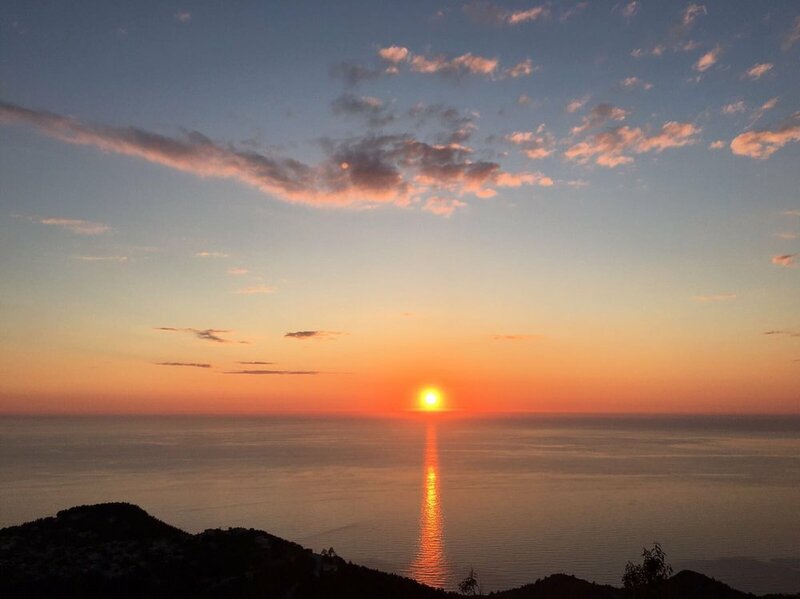 I have posted several aspects of this ‘ego’ journey over these past 4 months – the complaining and fault finding when I settled into Vassiliki. The building of genuine relationships and connections made in the transient ‘seasonaire’ world. ‘Roles’ of people, and a great deal of facing several of my fears. I often said that Vassiliki was like living in ‘Made in Chelsea’ or some other reality-series – the gossip, role playing and life dramas were rampant. The draw of my old self to get involved, try to ‘help’ these suffering souls noticed how my energy became drained and mood lowered. My ego would begin to make up stories in my mind about my life and my mind busy. Last month as I sat on Whitstable beach I saw how I repeated the same pattern of living in a ‘bubble’. These beautiful, magical places that draw people seeking peace and joy, such giant hearts yet egos run rampant and the ‘bubble’ everyone is contained within creates this unhealthy cycle of endless dramas. I had never thought I was a ‘dramatic’ person, but I could see how I chose to create dramas in my life – a busy mind of negative chat, complaining with others, being caught up in the small things and the use of roles and labels to define my old self. The Mediterranean is beautiful and my eyes always saw the rosey-hue of Greece. The stunning clear blue waters for seeing depths of the sea I never would have dared face before, welcome and glisten magic to me. But the land is full of dramas, the Greek tragedies and suffering – abundant egos of Greek Gods that spread through the energy of the land. For me personally, the jungle is more the ecosystem that my energy resonates best. The vibrancy, severe desolation of wet season and abundance bring gratitude for the simple joy of life. Often I would miss the jungle as I meditated into the mountains, yet aware of gratitude to Vassiliki broadened my gratitude to this magical planet. My soul may not connect to Europe in the same way it does to a more tropical climate, but others’ souls do blossom in this place. It is special, and if you feel it’s vibration brings gifts in abundance. My yoga teaching and massage therapy has deepened my awareness of my energetic sensitivity. In a bubble this can mean it is very challenging to manage what I pick up from others and what is my own ego. To maintain a sense of equanimity, I chose to spend my mornings alone: move, meditate, read and watch the mountains – ground, check-in with my body and Self to know what was me. Then if my mood suddenly changed in the day I could be aware of if it was something I had picked up from another, whether a chat, massage or teaching. At times this was challenging and the negative self-hate voice would reassert herself, but rather than entertain or judge her, I would leave her alone and she would quieten. After work check-in was vital to release the energies of the day – a meditation, perhaps fascia release or strong yoga practice. The commitment was not to a physical practice, but to an energetic balancing of my inner Self. To undertake whatever steps required to keep equanimity from the unravelling dramas surrounding me. At times over the past 4 months this has been very challenging to maintain. To release and accept my fears rather than question them removed the story and in turn, the fear. To embrace my blossoming energetic skills and enjoy the ‘strange’ experiences I encounter. I discovered the enormous space in my mind, that peace and a calm deep within me that can keep me steady when I feel my ego take a grip. It was very easy as people asked about my next steps to let the ego anxiety take a grip. I would find myself researching places or how I could get work somewhere else – what if I do not have the money to eat? Then I would hear others having this discussion. My reaction was “I left for Costa Rica with 2 weeks planned and £1,500. It all worked out better than I could have ever planned consciously”. To take my own advice I decided to stop planning if I felt stressed. When the step felt good I would know to follow it, I could be motivated to take the necessary actions without effort and frustration at the workload required. Perceptibly less work and more space in my mind, even though I was in physical time busy with work and more present in my delivery of my work. The removal of the ego’s anxiety of failure allows your Divine Self to flow through you for more joyful experiences. In my last week, I was privileged to cover some yoga classes: I taught yoga, pilates, fascia release and provided energetic massage. I embraced the opportunity to bring out my spiritual aspects more deeply than in my pilates and fascia work, to offer my ‘two penny thought’ of the yoga class’s energy at the end of the class is my reflection of my presence to the group experience. As an ‘intuitive teacher’ any class plan or preparation I do always fails to deliver, because my presence during the class removes my ability to follow what was in my past – the class plan! To know the energy I feel from others and how to not make it my own requires full presence of where in the room it comes from, which mat holds that sensation. Then at the end of the class I can ‘return to sender’ the energy of the class and individuals in this wrap up. My time in Vassiliki has required a different depth of self-work. Awareness of my ego and its guises, I welcomed my gifts to heal and work with energy. A new value for how to nurture myself, avoid dramas and be grateful. There is much work still to be done and I am still appalling at Sanskrit and various spiritual terminology, but words do not convey sensations or experiences. To continue to feel my way to deepen into my Self and my joyful life is all I can promise as I leave Vassiliki. Hopefully, this brings to others something I can share of ways to discover their own Self and joyful life too. Set Goals and Be Free from them! Treat your life like you are watching a movie. How do you feel when you watch a movie? Does your entire sense of Being become swallowed into the movie as though it is your life experiencing it? Or do you just watch it like an observer of a study? What if it is a documentary, does that change your experience – closer or more removed from you? What happens when it is to someone you care about? Are you more drawn into the story? Allow the emotions to come through you and leave them as passing experiences, just like the movie. Recall life experiences like a movie e.g. a poor experience is best left alone, don’t revisit it by telling the story again and again. You wouldn’t watch a movie again if you thought it rubbish.